Washington, DC – The High Level Military Group (HLMG), an international NGO made up of senior military leaders focused on the challenge of fighting terrorist armies in the Middle East, have releases their latest study, the most detailed examination of the threat from Hizballah and the potential for a new Lebanon war – Hizballah’s Terror Army: How to Prevent a Third Lebanon War, which can be read here. HLMG members General Lord Richard Dannatt, former Chief of Staff of the British Army and member of the House of Lords; General Klaus Naumann, former chief of staff of the German Bundeswehr and chair of the NATO committee; and Colonel Richard Kemp, former Commander of the British forces in Afghanistan and leader of the British Joint Intelligence Committee will discuss how Hizballah’s rearmament and military experience in Syria (engineered by Iran) makes a third Lebanese war dangerously likely. Furthermore, the third Lebanese war will be exponentially more destructive than the previous two. “Hizballah’s massively expanded military capabilities are embedded among the civilian population of Lebanon in what amounts to a war crime. This is also a grave indictment of the inadequacy of the UNIFIL mechanism. 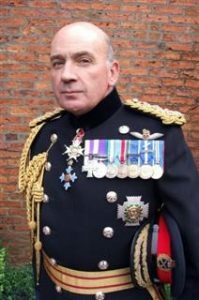 With a leadership that controls decisions of war and peace for all of Lebanon, emboldened by Iran’s backing and battlefield experience in Syria, we must work urgently to curtail Hizballah’s activities to help avert a potentially imminent new Lebanon war,” stated General Lord Dannatt. The HLMG consists of military leaders and officials from NATO and other democratic countries exploring the challenges of 21 Century warfare. The HLMG was formed in early 2015 with a mandate to address the implications for Western warfare of fighting enemies who disregard the Law of Armed Conflict (LOAC) but exploit our own nations’ adherence to LOAC for their gain. The Washington Institute for Near East Policy’s (WINEP)mission is to advance a balanced and realistic understanding of American interests in the Middle East and to promote the policies that secure them. WINEP is the largest research institute devoted exclusively to the study of the Middle East. ← Who is in charge of the Las Vegas Mandalay Bay shooting investigation?